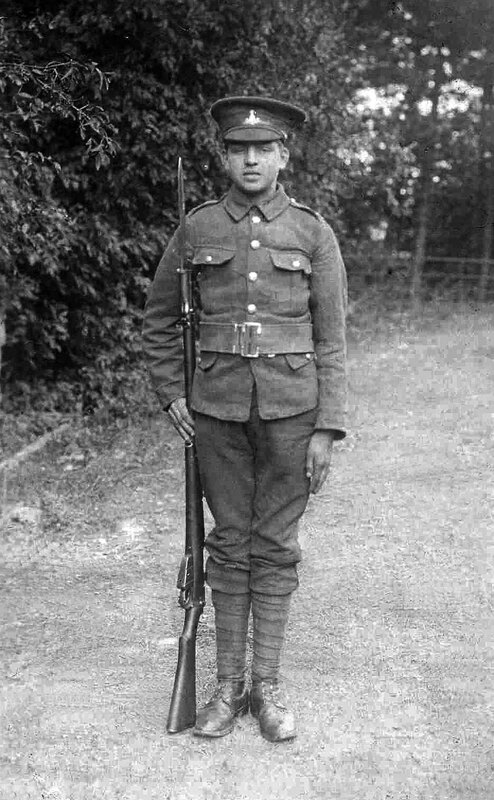 Edward Kirkby is particularly interesting in that he enlisted in the 5th Battalion on 31 August 1914, stating that he was 17 years and 7 months old, when he was, in fact, only 14 years old (born 31 January 1900). Even being 17 years old was under-age for enlistment! He was with the 5th Battalion in France (awarded the 1914-1915 Star), but was found to be under-age in February 1916 and was posted home on 25 March 1916. He remained with the 5th Battalion until 28 August 1916 (still only 16 years old). 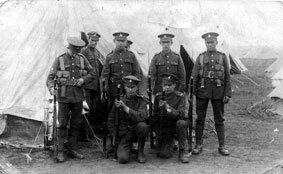 He re-enlisted with the 3rd Battalion Northumberland Fusiliers (Reg. No 92000) in March 1918, and remained with them until February 1919, - reaching the rank of Corporal. He re-enlisted with the 5th Battalion Yorkshire Regiment in July 1920, and served with them until September 1925. 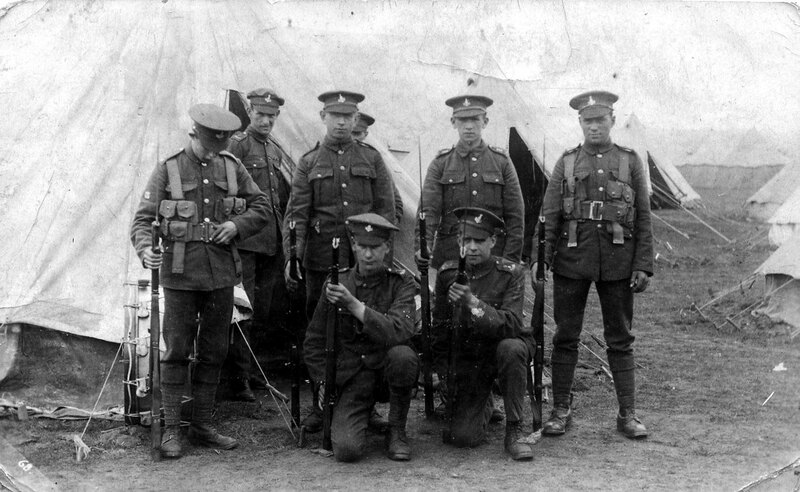 Below is a photo of Edward Kirkby with fellow members of the 5th Battalion in camp (late 1914?). Photos are courtesy of Bill Goble (<wagoble@hotmail.com><).